Draculas name alone is enough to inspire nightmares. The legendary lord of the undead first appeared in the Marvel Universe in the 1970s - and TOMB OF DRACULA, the most popular of The Houses horror titles, lasted an astonishing seven years. Now its time to experience the legend as we collect the first 25 issues of the classic spooky series along with a few chilling surprises! 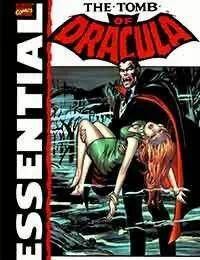 Reprinting Tomb of Dracula #s 1-25, Werewolf by Night #15 and Giant-Size Chillers #1.